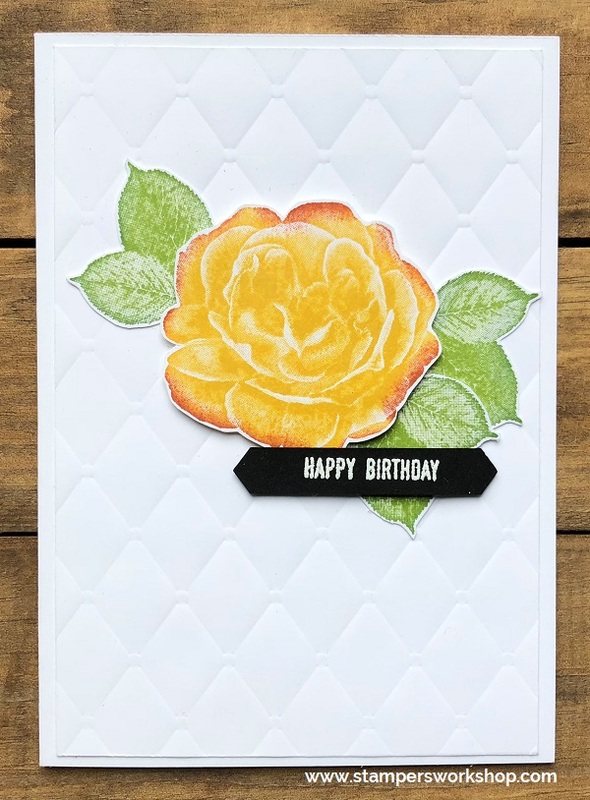 Hi, it would seem as though I am still very much in a flower phase because I am sharing another card where a floral image is the focal point of the card. The floral image comes from the lovely Healing Hugs stamp set. What is different about this stamp set is that the images are part of the new Distinktive Stamps line. Distinktive stamps “create different opacities in a single stamped image for realistic depth and intensity” (Stampin’ Up!). They are gorgeous! These few hints and tips will help you achieve perfect results every time. For me, I’ve found that applying ink with a sponge dauber guarantees me good results. Isn’t the floral image gorgeous?! I’ve paired the flower with a Birthday greeting but the Healing Hugs stamp set comes with some really sweet sentiments, especially for anyone who is suffering from ill health.